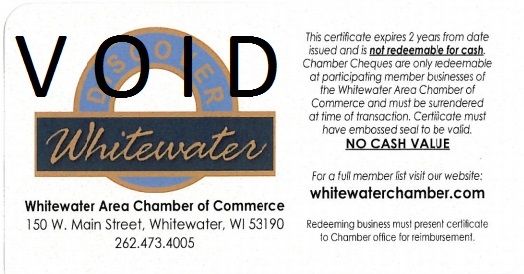 VIEW LIST OF PLACES TO REDEEM CHAMBER CHEQUES BELOW. 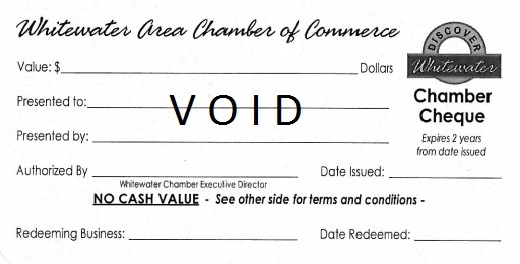 Available in any amount up to $25 (multiple cheques allowed) at the chamber office. Cabinets & Design by Cozette, Inc.